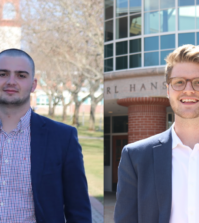 Students will see a faster campus network by the beginning of the fall 2014 semester, thanks to the freshman cabinet of the Student Government Association’s proposal to improve BobcatNet, according to freshman class president Chris Desilets. The plans for improving BobcatNet will begin on Nov. 12, according to Information and Security Officer Brian Kelly. Kelly said improvements will begin to be made gradually throughout the spring semester and students should eventually notice some improvement. The improvements over the spring semester will be small, and the process should not disturb students’ daily routines. Students should still be able to log onto BobcatNet, but in some areas of campus the network will be faster, according to Kelly. Kelly said most of the work involving construction in the residence halls will be completed during the summer of 2014, because adding and replacing access points is easier to work on and the process would not disturb residential students. Desilets, along with Anisha Manglani, a freshman class representative, worked as a team to pitch the idea to the freshman cabinet as well as administration. Both Desilets and Manglani feel the speed of BobcatNet is not up to par and it needs to be improved for students. During his campaign, Desilets said one of the major issues students complained about was BobcatNet. SGA has a good proposal, according to Kelly. “When we put [BobcatNet] up seven years ago, it was top of the line and in the best position to support the students.” Kelly said. Due to overcrowding on the network, Kelly said the wireless access points, that connect devices to BobcatNet, need to be replaced and improved to support students in the residence halls. 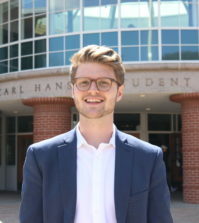 According to Kelly, SGA helped him gain administration’s support for this project, as he had originally requested for improvements on BobcatNet. “SGA has helped move [improvement on BobcatNet] up on the priority list,” Kelly said. Desilets said Kelly helped SGA gather information for its proposal to present it in a way that would peak administration’s interest. “[Kelly] sent us graphs that showed data of the usage of the network, and using that data we were able to create a powerpoint and present it to Mark Thompson [executive vice president and provost of the university] and he was the one who approved everything,” Desilets said. “Because the improvements are going to be gradually implemented it’s hard to say all at once what the price is. As they plan it out and figure out what needs to be done, the price will be determined.” Manglani said. After SGA posted on Facebook about the project costing $1 million and a completion date of spring 2014, the post was deleted because the price and dates were inaccurately given by Thompson after the approval of the project, according to Desilets. Kelly believes even though this project is expensive, it will be worth it for the community. Last year SGA pushed for $100,000 to be put toward new gym equipment in the Athletic Center. Desilets believes spending the money to improve aspects of the university is worth it for the community. Students such as freshman film, video and interactive media major Nick Manson believe the improvements to BobcatNet are important many students on campus. Manson is happy that there will be improvements to Bobcatnet. While most students complain about the speed of BobcatNet, some students such as senior film, video and interactive media major Micaela Pascale think that BobcatNet doesn’t need to be fixed. “Maybe it’s because I’m a senior and I live off campus, but this year I haven’t had any problems. Last semester I had no stable WiFi studying abroad in Rome so it made me appreciate BobcatNet a little bit,” Pascale said. While Desilets hears complaints about “where the money goes” consistently from students, Manglani said she believes people need to understand that the money helps improve the community. “If you are going to live here and you are going to treat this like your home, some effort has to be put in to improve that,” Manglani said.